Amazing! This is the best expression of the feeling of riding the BMW R 1200 GS. Despite the size and weight of this big trail, which at first makes us apprehensive, it passes quickly after rolling the first few meters on the seat of the bike. It is very easy to pilot, thanks in large part to the fact that the boxer engine is well below the pilot, concentrating all weight there and lowering the center of gravity of the bike. This provides agility in changing direction, ensures a good balance and provides a great feeling of safety. The BMW R 1200 GS is suitable for any type of terrain or situation. In the long distances, it is super comfortable, with a tank with a capacity of 20 liters has a good autonomy, running quietly 400 km without the need for refueling. Even in a more aggressive ride, the consumption will not cause great surprises and is worth the adrenaline it offers. As a top-of-the-line bike, the BMW R 1200 GS offers a high level of technology and sophistication with pre-set electronic injection map settings and active suspension. All this command is available in a very simple way and at the tips of the fingers. The engine used by the BMW R 1200 GS is the well-known 2-cylinder boxer with 1,170 cm³, delivering 125 hp at 7,750 rpm. As expected, it responds very well in accelerations and speed restarts. The sound of the boxer propeller is also an item that deserves to be highlighted, whether operating at high or low speeds. It is worth mentioning that it is possible to change between the various types of maps of the injection system even with the bike in motion, giving the most varied answers to the R 1200 GS. The German Big Trail leaves the factory with traction control (ASC) and five pilot modes: Rain, Road, Dynamic, Enduro (off-road) and Enduro Pro to use tires with blackheads. Through the Dynamic ESA (Electronic Suspension Adjustment) active suspension, you automatically adjust the suspension and traction according to the type of floor. It is perfect in all situations, whether in the curves, roads, land and in the brakes. An important detail to mention is that when the brake is applied, the active front suspension does not allow the front wheel to “sink”, thereby giving you greater control and stability. The ABS brake system is a standard item and adjustable according to the driving mode and with the possibility of integral or partial deactivation in the Enduro mode. The road is the habitat of the BMW R 1200 GS, regardless of whether paved or unpaved. The bike is very comfortable, with an extremely pleasant riding position, both for the rider and the rump, making any trip less tiring. Another facility is that, with a simple electronic throttle push button, the bike accelerates and decelerates on its own, keeping the speed programmed and offering greater comfort to the rider and avoiding constant movement of the wrist to maintain the desired speed, which often makes It gets tiring on longer trips. The traction is by cardan shaft, where you gain in maintenance compared to the traditional chain system, but you lose a little in the efficiency of the transfer of torque. On the road, we highlight two more comfort items, in this case, the heating of the handle with two levels of temperature and the windshield with height adjustable by the manual system in the model tested. That’s where the BMW R 1200 GS most surprised us, offering an easy and safe play. In off-road use, the trail delivers resourcefulness and aptitude, transposing obstacles with great ease. On day to day, the R 1200 GS also pleases. The handlebar is wide, which makes you feel some difficulty in the corridors between cars, but after some workout, it becomes fun to ride in traffic with the BMW R 1200 GS and expands your skills as a driver. The BMW R 1200 GS is very easy to change course, offering a smooth ride in any traffic situation. The dashboard of the new BMW R 1200 GS is quite complete, mixes analog and digital elements and has excellent information visualization. The cluster indicates a number of functions, such as tire pressure, cruise control, driving mode, suspension actuation mode, fuel consumption and more. It is important to note that the R 1200 GS has a face-key, and the key-knife that accompanies the bike is used only to release the seat. The main headlamp offers LED lighting and well-designed design. He collaborates to make the model more aggressive and futuristic air, which draws much attention. You can not go unnoticed. 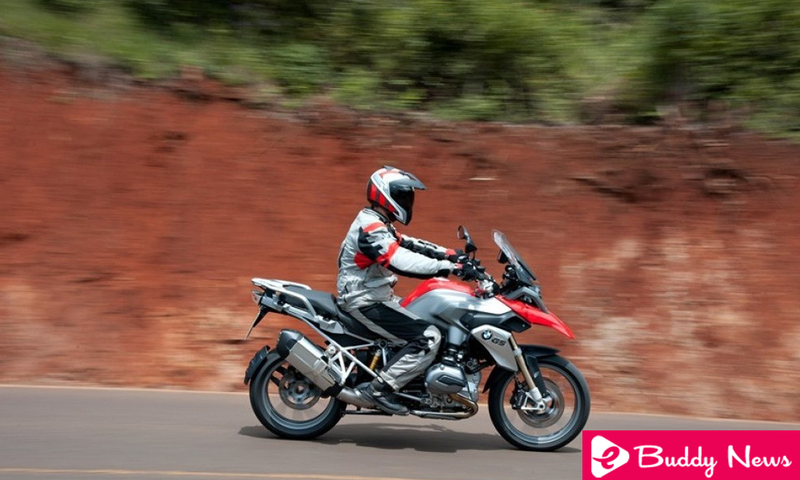 The BMW R 1200 GS is an ideal bike for those who love to hit the road, especially for long routes. Comfortable, safe and with great autonomy in the house of 400 km, it still proves extremely easy to drive. In addition to the exemplary cycling, it offers great comfort for the rider and the croup. An excellent – and very complete – purchase option for anyone who can spend $ 63,900.